Your poker HUD (heads up display) is arguably your most important weapon at the poker tables especially after you get beyond NL2 and NL5. You have to play against regs much more frequently and many of them don't have the obvious glaring leaks that they do at the lower limits. Having a good poker HUD setup that allows you to get the information that you need as efficiently as possible can make all the difference in the world to your bottom line. If you have any doubts about whether or not you should be using a poker HUD (or even what it is) go check out this article of mine before you read this one. Recently I have overhauled my HUD and I want to share it with all of you. I am confident that I achieved both of these goals in the two custom poker HUD setups that I will discuss in this article. Download My New Poker HUD For Free! 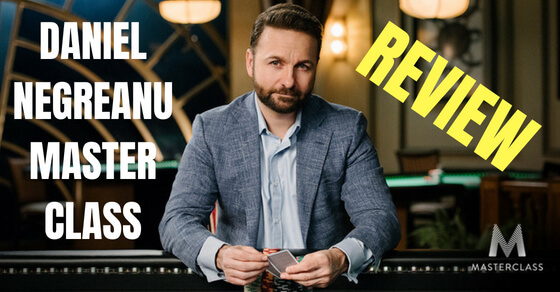 Before I even begin my analysis though I am going to just give you the download links to my new poker HUD setup so that you can start using it at the tables yourself. I should mention that I use PokerTracker 4. I think it is the best current poker tracking program and HUD on the market. It is extremely user friendly and has an endless amount of useful stats and filters to help you improve your game away from the tables. You can go download the free trial yourself right here. Many people use Hold'em Manager 2 though. 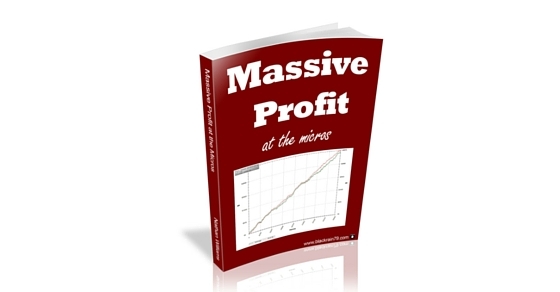 This is a good poker tracking program as well. It is actually now owned by the same company also. This article will still be useful for you but you will have to manually enter the equivalent stats in Hold'em Manager yourself. Quick note for MAC users: PokerTracker 4 is MAC friendly, Hold'em Manager 2 is not. You can download the Lite version of my custom Pokertracker 4 HUD here. 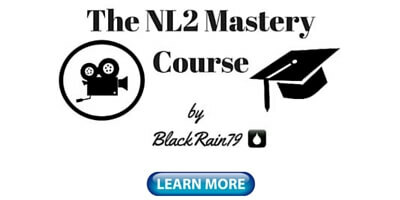 (recommended for NL2, NL4 and NL5). You can download the Full version of my custom Pokertracker 4 HUD here. (recommended for NL10 and higher). Both files are hosted on Google Drive. If you have any problems downloading them, let me know in the comments below. Import the file above in Pokertracker 4 and you can start using my HUD immediately at the tables. Inside Pokertracker 4 just go HUD > Edit HUD Profiles > Options > Import Profile. Download Pokertracker 4 right here. Full or Lite Poker HUD? If you play NL2, NL4 or NL5 then I would opt for the Lite version of my HUD for now. It includes the 12 most important stats for success at these stakes. The Full version of my poker HUD which includes these 12 core stats and adds 7 more may seem a bit overwhelming at first. This HUD is best suited for NL10+ cash games where you have large samples on most of the regs and decisions are often more complex. Please note: Every single statistic will be thoroughly explained later in this article. As you can see I use abbreviations (F3B, F4B etc.) on many of the stats. This is simply to remind me what they are. Once they get hard-wired into my brain I will remove them which will help clear up space. I will show you how to do this in the next section. I have also incorporated some minor color coding just to make some extremely important stats stand out more. Red is used for number of hands. I use blue for the big three classic stats (VPIP/PFR/Total AF). Lastly, I use green for the steal stats. One of the great things about Pokertracker 4 is that it is very easy to customize your HUD. So if you don't like something in my HUD setup then you can just go ahead and change it! Below is a video walk through of both versions of my custom HUD. There will be a much more detailed line by line analysis in the rest of this article below as well. Line #1 includes all of the most important stats. When referring to my HUD at the tables, 90% of the time I can get all of the information that I need to know from this group of stats alone. 1) Player Name = Self explanatory. It is obviously of crucial importance that you have the right stats associated with the right player! The only thing worse than having no information is having completely wrong information! For this reason I have the player name listed before anything else and I actually set it in Pokertracker 4 as the same color (silver) as it displays on Pokerstars. Already done for you if you downloaded and imported my HUD profile above. 2) Number of hands = The total number of hands that you have on your opponent. This is the second most important stat. Every individual stat that I will discuss throughout the rest of this article relies on it. So it is obviously of crucial importance and this is the reason for it's prime position on my HUD. A misunderstanding of how important the sample size is to the usefulness of specific stats is probably the number one way people misuse their HUD's. More is always better. Some stats need far bigger samples than others. I will talk about this more throughout this article. 3) VPIP = Voluntarily Put $ in Pot. Percentage of hands that you opponent plays. The percentage of hands that your opponent plays tells you 90% of what you need to know about them. This stat comes close to it's true value over a sample size of just 15 or 20 hands. 4) PFR = Preflop Raise. Percentage of hands that your opponent raises with. This is another crucially important stat as it tells me what sort of range my opponent is typically opening with. The gap between this stat and VPIP tells us a great deal about the opponent as well. A large gap means passive which usually leads to passive postflop play as well. Small gap (a couple points or less) means aggressive which usually leads to aggressive postflop play as well. Like VPIP, this stat comes close to it's true value over just 15 or 20 hands. 5) Total AF = Total Aggression Factor. A mathematical calculation of postflop aggressiveness. Make sure that you have at least 100 hands on your opponent before relying on the information that this stat provides. 6) Fold to Steal = How often the opponent folds when someone opens from the CO, BTN or SB. This is a very useful stat in determining if your steal attempt will be successful or not. If you see a bunch of guys behind in the 80+ category then the answer is probably yes. 7) ATS = Attempt to Steal. Percentage of the time someone raises when it is folded to them in the CO, BTN or SB. This is a very useful stat which indicates how widely your opponent is attempting to steal the blinds. You can adjust your 3Betting and calling ranges depending on it. 20 is on the low side, 30 is about average, 40 is high and 50+ is extremely loose. This line is all about preflop. 1) Fold to PF 3Bet = Percentage of the time that they fold to a preflop 3Bet. Simple enough. I want to know if they will fold when I 3Bet them. After about 100 hands this stat is pretty reliable. Fold to 3Bet is highly useful at NL10+ where the preflop aggression is much higher than at stakes below this. Many regs routinely fold to 3Bets far too much. Good to know. 2) Fold to 4Bet After 3Bet = Percentage of the time that they fold to a preflop 4Bet. Useful stat for determining how often they will fold if I 4Bet them. Please note however that this stat requires a large sample. I would suggest having a few hundred hands on your opponent at minimum. If you are ever in doubt, just hover your mouse over the stat on your HUD and it will give you the number of opportunities that your opponent has had to perform that specific action. This is really the most important information to have when dealing with potential sample size issues. This player has only ever had one opportunity to CBet the river. Therefore this 100% number is useless information. 3) 3Bet Preflop = Percentage of the time that they re-raise versus an open raise preflop. *It is extremely important that you remember that this stat also typically requires a sample of several hundred hands before providing useful information. Keep in mind also that 3Bet numbers are usually a good point or two higher in 6max compared to Full Ring. Now I would love to break it down to include 3Bet by each position or situation but one of my goals was not to have way too much clutter on my screen (there is already more than enough!). This is one of the areas where the popup display in Pokertracker 4 helps us out. Simply left click on a player's name in order to bring it up. As you can see in the highlighted area we have the information on this player's 3Bet percentages at every position at the table. When I want a more detailed breakdown of my opponent's 3Bet in a specific situation I will refer to this. 4) 4Bet Ratio = A mathematical calculation of a player's 4Bet range. Again players at these stakes run the gamut from pure nuts only to "A3o why not." I prefer 4Bet ratio over 4Bet percentage because it provides you with an actual range. Here are some rough rules of thumb. Once again, this stat requires a huge sample. I would not pay any attention to it until I have at least 500 hands on someone. Line 3 is all about their postflop reactions to my aggression. Can I get them to fold to a CBet on the flop, a double barrel or even a triple barrel? Once again sample size concerns can definitely be an issue with some of these stats, especially the turn and the river ones. 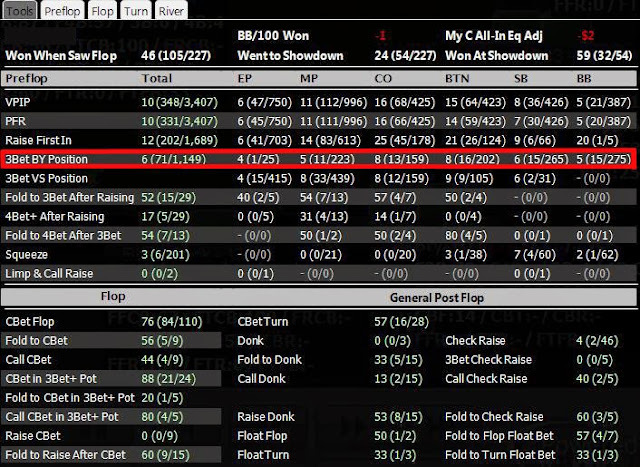 1) Fold to Flop CBet = How often they fold when I CBet the flop. 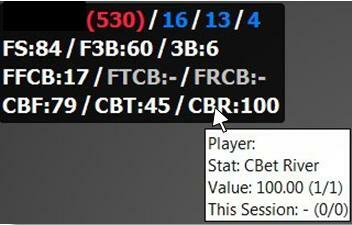 Very useful stat to simply know if they are going to fold to my CBet on the flop or not. I definitely don't refer to it every time though. On a board that hits my perceived range against a single opponent I will be CBetting most of the time regardless. 2) Fold to Turn CBet = How often they fold when I CBet the flop and then the turn as well. If my opponent calls me on the flop I will refer to this stat quite a bit to see if I can shake them on the turn. Be careful of sample size issues once again. Always hover the mouse over the stat and check the number of opportunities. 3) Fold to River CBet = How often they fold when I CBet the flop, turn and river. This stat requires an enormous sample size. Also, triple barreling bluffing is not something that I do all that often at the micros. However, if a situation arises where I think it might be profitable and I have a massive sample on a reg, this stat can be useful. This line is all about how my opponent plays postflop. I want to know what percentage of the time they CBet on each street. Sample size is definitely an issue once again as I have preached throughout this article. However, as long as you know that the numbers are reliable then these stats can make finding the weak spots in their game pretty easy. 1) CBet Flop = How often my opponent CBets the flop. This stat tells me if they are a heavy CBettor or not. I will take various lines depending on what it tells me. 2) CBet Turn = How often my opponent CBets the turn. This stat tells me if they keep firing again a lot on the turn or give up. A big gap between CBet Flop and CBet Turn is the classic spot for floating and taking the pot away. 3) CBet River = How often my opponent CBets the river. This stat requires an enormous sample but it can be useful in some situations against regs. It tells me how often they have the heart to fire the third shell. This last line is all about the effectiveness of different lines that I might take against an opponent when I am the preflop caller. These stats are highly useful in helping you outplay your opponent in those situations. 1) Fold to Raise After Flop CBet = Percentage of the time they fold if I raise their flop CBet. The first one is simple enough. How often do they fold when we raise their CBet? Most players are right around 50% with this. However some are significantly higher or lower. Good to know. 2) Fold to Raise After Turn CBet = Percentage of the time they fold if I raise their turn CBet. The second one concerns how often they fold when we raise their turn CBet. Most players do not fold very often at these stakes, around 1/3 the time. However some do fold more often making it sometimes profitable to raise light. Large sample needed here. 3) Fold to Turn Float Bet = Percentage of the time they fold when I float the flop and then bet the turn when they check to me. This stat let's me know how often they fold when we float the flop and then bet the turn when they check. I use this stat in conjunction with CBet turn above. I want to know firstly if they frequently check on the turn instead of barreling before I make a plan to float on the flop. Secondly, I want to know that they give up a lot when I bet. This stat tells me that. 4) Fold to River Float Bet = Percentage of the time they fold when I float the flop, turn and then bet the river when they check to me. Lastly, this stat let's me know how often they give up when I float both the flop and turn and then bet when they check the river. Like with the previous stat I use this in conjunction with CBet river on the 4th line to find the barrel happy regs who get shy on the river. Then I use this stat to find out if they fold a lot when I bet. I have found that this is a huge weakness in even some of the very best regs at these stakes. An enormous sample is required though. The best way to do this is to open up a replayer window in Pokertracker 4. Or you can just open up a table on whatever poker network that you play on and either observe some hands or play at low stakes. Make sure you hit the little Pokertracker 4 icon (as noted above) at the top of your poker table. Select "Change Profile" and then choose my HUD (Lite or Full). And so there you have my complete guide to optimal poker HUD setup for today's small stakes poker games. With the latest version of my poker HUD (especially the Full one) I have a lot more stuff on my screen now. However, this is ok because I need detailed information to find the leaks of the regs at NL10+ and outplay them. At the very lowest stakes (NL2, NL4 and NL5) there are still terrible players everywhere with huge leaks in their game. You can still very easily beat these games with a basic HUD setup like my Lite version and a simple TAG strategy. Whichever stakes you are playing, if you are serious about online poker, then I would recommend that you at least try using a HUD. Using one has easily saved me thousands if not tens of thousands of dollars over the years at the poker tables. You can download my HUD setup for free above. And you can get started with the free trial version of Pokertracker 4 right here. 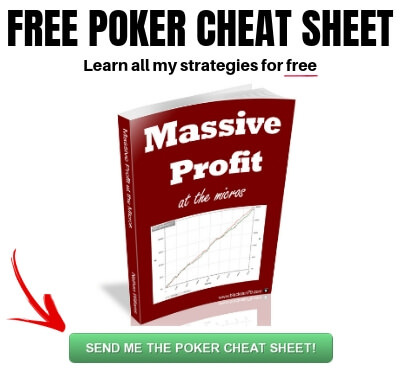 Lastly, PokerTracker is just one of the resources that I use to improve my poker game. 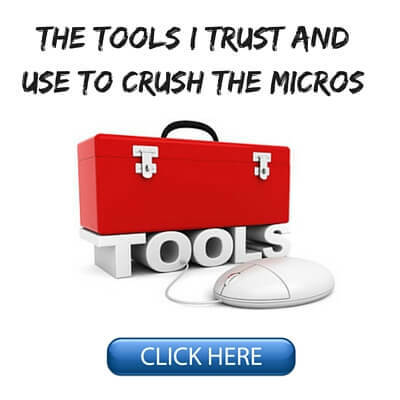 If you want a complete list of all the poker tools I use, you can find that right here. Lastly, lastly, if you want to know about my day to day life as a poker pro traveling the world, make sure to follow me on Instagram. This article was quite long and has a lot of technical information in it. So if you have any questions or comments please feel free to leave them in the comment box below. Lastly, I spent a ridiculous amount of time on this article. If you found it helpful then do me a quick favor and smash that"Like" or "Tweet" button below. Thanks! Thanks heaps for posting that. The major stat missing from your HUD that I think is essential is Fold to Steal. This stat for the blinds massively affects how I play from CO and BTN. I also like Went to Showdown, but that's less important. Are you able to post a screenshot of your HUD on the table? I'm having trouble getting it to fit right at 6max Zoom - I'm thinking about shortening some of the prefix text. Ya I thought about including Fold to Steal. The reason I didn't was because I normally have a quick look at the player types in the blinds and generally know already what to expect. The nits are going to fold a lot, the TAG's will 3bet me more, the fish and SLP will call etc. I just tile 4 tables on my 15 inch laptop and it fits fine. There is just enough space if I put the box under everyone's name, except for the player in the seats at the top of the screen where I put it off to the side. Sorry, I forgot to get a screenshot for you. I have just added it in at the bottom of the post. Also, I decided to include your suggestion of Fold to Steal. The post has been updated as has the download link. Thanks for the feedback! I was having trouble fitting a HUD box on the bottom right at 6max tables. Looks like it's easier at full ring because the hero seat is directly centred. I've made some adjustments to your standard and have it fitting well now. I've also color coded a lot of stats. I like being able to see at a quick glance whether opponents are nits, tags, lags, fish. I have nitty stats as red, tag stats as yellow and looser stats as green. I think this helps more at the Zoom tables I play because you have less time to identify players in each position. Could you share that with us? or point out your color ranges? I don't have a firm release date yet. I am hoping and expecting it to be before the end of this year though. I just want to thank you for writing this article. I have never seen anything this comprehensive on setting up your HUD. It is a huge help! No problem Richard and thanks for reading! Just noticed this, but why the switch to pt4? I think PT4 is a lot easier to use and just looks a lot better overall. Their stat abbreviations also make a lot more sense to me. Your welcome and Merry Christmas. Thanks so much for this post!!! You are really educating me. I am just learning online micro stakes Holdem and this is invaluable. I have seen so much on HUD's but frankly was confused. Based on your advice I bought PT4 this weekend. I have downloaded your HUD's and I am studying the statistics. I am also reading Matthew Hilger's book and will buy yours next. As a 20+ year BJ card counter playing in LV, I have become disillusioned with the increasing casino rules shifts to their favor. I look forward to playing against other people and not the house. Playing from home is also attractive. I now the value of learning a gambling game properly and you are moving me up the learning curve. Wanted to say thank-you so much for sharing!!! PS - I have tried three times to post this, so if multiple show up you are welcome to delete them. I think I have signed in correctly now for this to work. Glad this post helped! 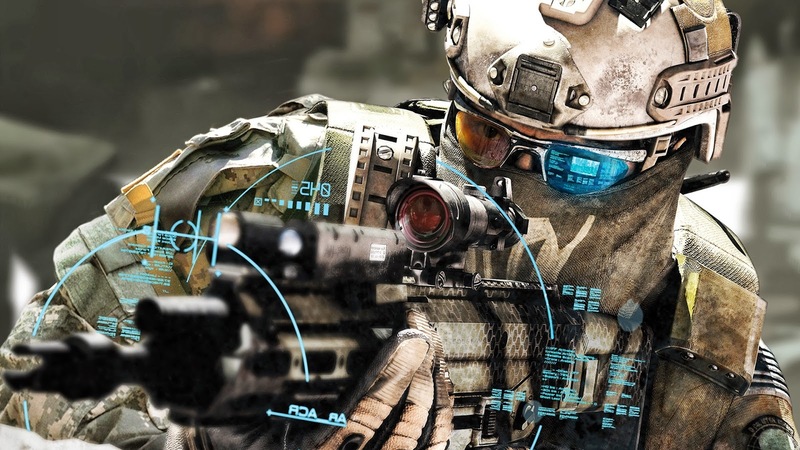 A HUD is an integral part of the online poker environment these days and they needn't be that complicated. Just use the Lite version above when you get started online and you will be just fine. What we really need in this article or another maybe is the color ranges for the stats! As you know (since you use color coding) a VPIP of 17 by it self or 21 or 36, "lost" among so many other numbers is not as easily identifiable as if it is coloured. But what are th ranges for the colors? Is there any guide anywhere that we can use to color code our stats? 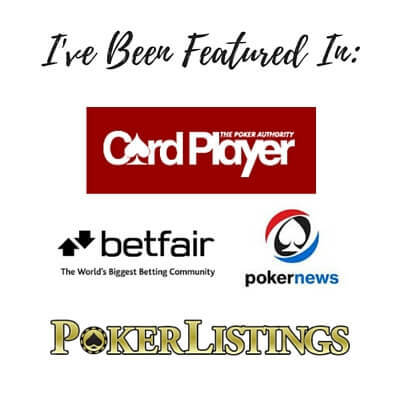 By the way, thanks for a GREAT article, on of the most useful ones out there for HUDs and online poker in general. Good idea Thanos. I don't really want to add to this article because it is quite long but in the future I will likely write another one talking about color coding the HUD. Glad you enjoyed though! Would you write something about the color range you use? Thanks andrtins! I don't really even use color coding for ranges anymore. I just use some different colors on the top row as you can see in this article to differentiate a few stat groupings. I used to use red for tight, yellow for semi-loose and green for loose though. hi nathan , i have problems with pt4 , the huds dissapear ,come back and there pretty much everywhere and almost every hand it changes . im using 888poker atm. i downloaded your hud , no difference and the huds dont show up propper. what can it be ? Hmm, not really sure to be honest. I think I have heard of some others maybe having trouble with 888 as well. I would send an email to Pokertracker support. They are going to know more about this than me. Quick question about colour coding, I saw that you've already received a few questions about it. Is it possible to make PT4 colour code the player name? Let's say that a players stats are telling us he is a NIT then I might want to make his name red and for someone that has 'fishy' stats I might want to make it green or something like that? Is it even worth the time doing that or would you just recommend that I learn what stats defines what so that I can spot that quicker? Thanks Bo. I am not sure if this is possible. I have tried to do certain things like this in the past with PT4 and HEM before that but ultimately I would rather just look at the stats for my decisions and colour code or tag them on the poker site itself as you can see in the screenshot above. I've just stumbled on this post and downloaded your PT4 HUD profile and noticed that there are a couple of tweaks compared to the above. If you have discussed those tweaks anywhere, could you please point me to them please. For example FRFB is in the topline? Thanks. I do make minor tweaks to my HUD from time to time and I try to always update this article and the download links when I do that. Nope sorry. These files are only for Pokertracker. You can create my same HUD in Hold'em Manager as well but you will have to manually enter the equivalent stats yourself. Thanks a lot just registered to your site searching for a good HUD setting. Just playing NL5 and want to go to NL10 the next month. Thanks Dimal, glad I could help! Obrigado por me ajudar. Ja perdi muito por não achar um caminho certo para estudar Micro stacks. Existe seu livro em portuques ? Ja pensou em traduzi-lo? Thank you! Glad I could help. Sorry but none of my content is translated to Portuguese. My first book is available in Spanish and Russian. Say I want to color code part of these stats as traffic lights, where green = Go and yellow = caution and Red = careful. Can you make a record of this for individual stats? You have a wonderful side, intent this good work !! Yes, it has been a long time since I did it but I am pretty sure in PT4 you can set ranges for stats and then associate specific colors. It will be in the HUD profile editor. As always, I really appreciate your blog. It's been a huge help to me and I thank you for the time and effort you put into it. I bought the only hud that I can use on the site that I have access to, Holdem Indicator. It doesn't seem to have a lot of the information that either Hem or Pt4 have. But then, the site uses anonymized tables so I can't keep player histories anyway. Since my hud is limited in scope and customization I use all of the features that I can. One of them is wsd and wsd/w. And I've tried to incorporate that info into my game. If I see someone running a large VP but a high wsd/w I usually figure that person is hitting a lot of their hands and I want stronger hands to call or bet into them. If wsd/w is low, I have more confidence working with weaker hands in a showdown. If the VP, PFR, and wsd are high, but the wsd/w is low, then aggression is usually very high and I'm usually looking at a maniac that's raising everything and bluffing a lot. I also notice that wsd and wsd/w has a direct correlation to my win-rate. In general, if wsd/w is less than 50% it's a net loss, and 60% or above is generally a positive net. It's more detailed than that but that's the gist of it. This has more of an affect on my play later in the hand(after the turn or river), than it does early in the hand. And again when looking at the session overall. Am I putting too much value in wsd and wsd/w? Hey! I can't change the active player. Can anyone help me? Downloaded the lite version and it's great! Quick question, the number of hands displayed always starts at 1 whenever I sit at a table so i don't have any history on the players. Is this normal? I only bought poker tracker last week, so does it only begin gathering data on other players since the time you purchased it? Glad you like the lite version of my HUD! If you have hands on any players in your database it should show that information any time you play with them. Hi Nathan. What should be good stats for the elite player, as you call him on your winrate article? 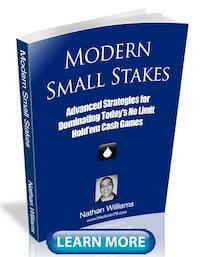 This is all covered in my book Modern Small Stakes. Maybe I will write an article one day about it too. The thing is though, there are no perfect stats. There are many different play styles that can create big success in poker. Hi Nathan. Are there any HUD suggestions when using a site that PokerTracker does not support? I usually just play without if that is the case. Unlikely others will support if PT doesn't and I am not gonna download a whole new program and configure it just for one site. Any advice on using table tracker in microstakes cash or is the percentage of players you are profitable against high enough to not merit using it? Sorry haven't used that so I can't comment. Glad my blog is helpful though! "Fold to turn float bet" and "Fold to river float bet"
are you only referring to when you are IP vs villain? If so in general are you never floating when you are OOP? Glad you enjoy my blog! I am referring to floating when both IP and OOP. 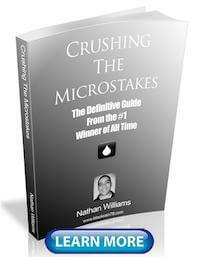 Amazing article Nathan! I have been using your Pokertracker HUD for awhile now and it is the best one I have ever seen for the micros. I am at NL50 now and moving up to NL100 soon. Thanks so much for sharing this! Wow awesome work TJ! Let me know how it goes for you. Great stuff Nathan, you've been a big help to me so far. I've definitely gone from a fish to at least someone who can spot bigger fish than me at the table with the help of your article/ books. Is there any way to get a HUD of ourselves on PT4? I was thinking it might be helpful to see what we are projecting in a session. Also, I've been playing at stars while I wait for clearance at 888. I notice last session the stars stats said I'd played 20% (6 ring), and i was all proud of myself, but then afterwards i looked at the PT4 stats and it said my VPIP was around 30. Am i missing something? That stat on stars shows how many times you saw a flop. When everyone folds after your PFR is not included, because there is no flop. As VPIP means "voluntarily put money into the pot", you can see that it includes hands when you raised preflop and did not get a call. Sorry for the late reply. Yes, you can turn on HUD stats for yourself. I never enable this option but I think it would be something like "show hero stats" and it is probably in the HUD profile section. 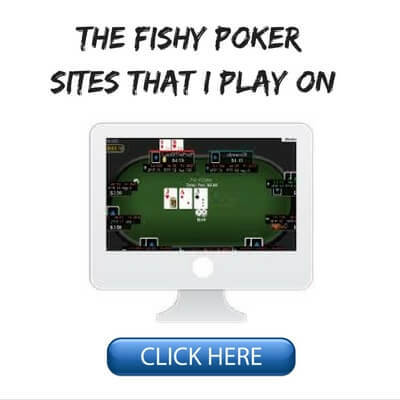 I would not pay attention to what the poker site says for your VPIP or any other stat. I would just focus on what PT4 says, it is drawing everything from the raw data, hand histories. Thanks the HUD set up - I really like it, I am currently using the lite version playing NL2 on stars and NL5 on 888. I noticed your set up doesn't have to auto-note feature that the standard PT4 cash set up has. Do you think they are not useful or misleading? Or do you prefer using only your own personal notes? Thanks, glad my HUD helps! I don't personally use any auto-note features so I can't really comment. I just manually take notes sometimes on regs. Happy to hear that Al! Hi, I tried downloading your his profile using my Mac but can not open it. Do you know what app I need to use to open it? Thanks. You need to have PokerTracker 4 installed in order to use my custom HUD. It is available for both Mac and PC. Nice work Adrian and glad I could help you! Will pt4 work with ignition or bovada? Unfortunately I don't think I have other sites available to me here in Ohio. I've read that Huds that work with these sites only use stats for the current session. Which means to me that only the line 1 stats would have enough sample size to be useful. What are your thoughts? Last time I checked PT4 does not work on either Ignition or Bovada. Nope, there is something wrong in your settings.